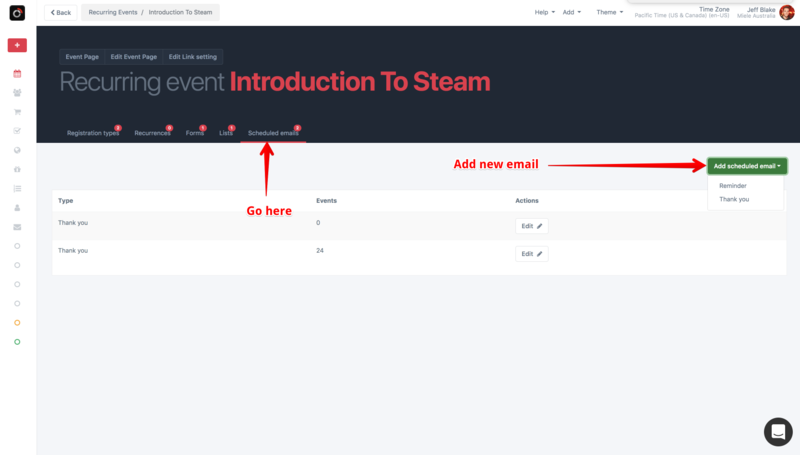 How to easily add and customize an email to send to your guests before or after the event. Go to Events > Recurring > and click Manage for your recurring event. Click on the Scheduled emails tab, and then click the green Add new button. Choose either Reminder to send the event attendees a message containing their tickets, or Thank you to send checked in guests a message. 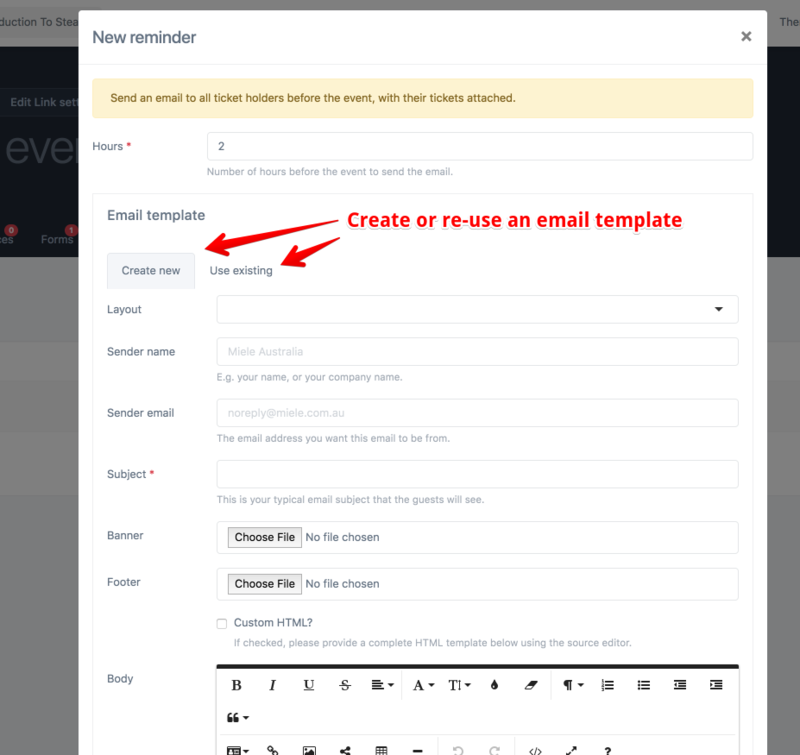 You can create a new email template or select an existing one. Click the Use existing tab, and choose a template from the drop down. Click Save when you are done. This email will be automatically added to all events within this recurring event. 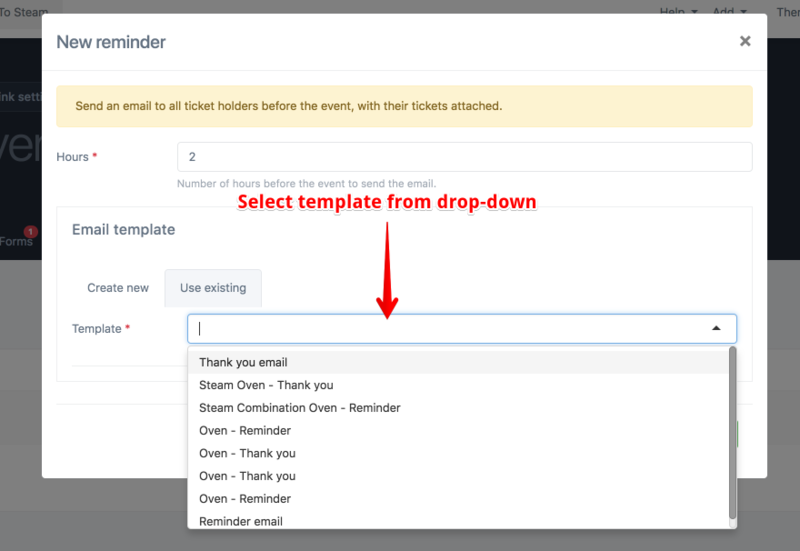 Go to any event, from Events > Upcoming (or Past) and click Manage. Then click on Campaigns from the event sidebar menu. 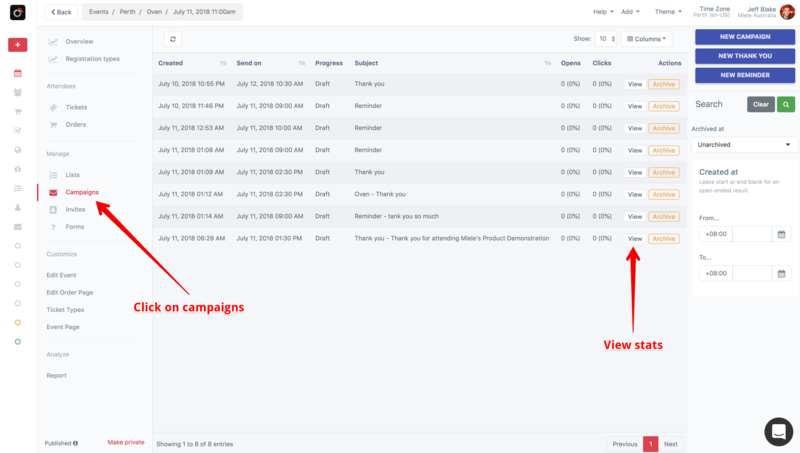 You can also view a list of all emails from all events, from the Campaigns menu in the primary sidebar.